We are excited to announce that we have been nominated for World's Leading Private Jet Charter in the 22nd annual World Travel Awards™. Last year, we won Leading Private Jet Charter for the Caribbean and South America. 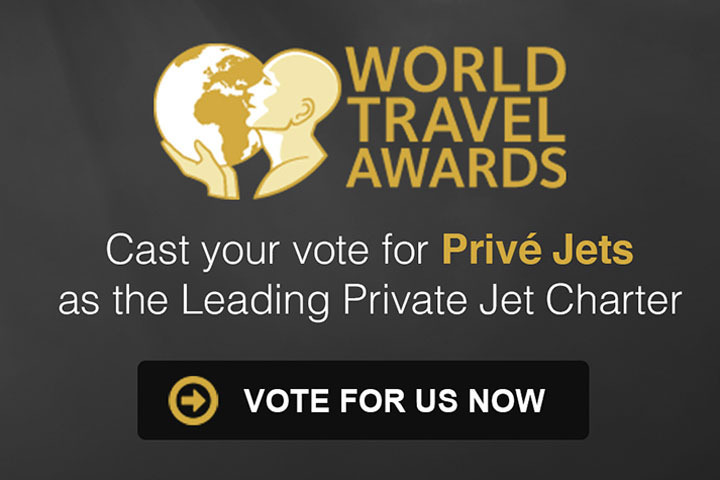 Please help us achieve our goal of winning yet another World Travel Award™ by casting your vote. World Travel Awards™ was founded in 1993 to recognize, acknowledge and reward excellence in the worldwide travel, tourism and hospitality industry. World Travel Awards™ is recognized globally as the hallmark of quality, with winners setting the benchmark to which all others aspire.